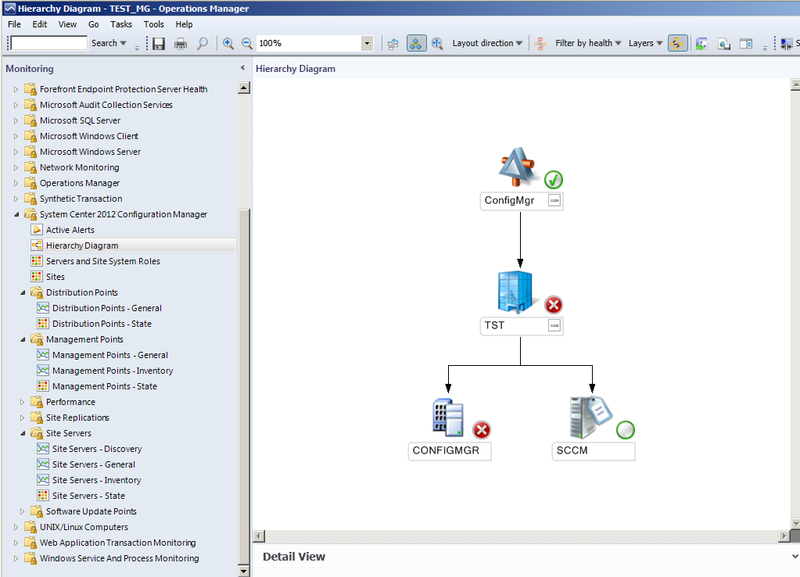 Monitoring SCCM 2012 via SCOM 2012. Quick blog, but im going to go trough the setup that is needed in order for your opsmgr to monitor your confmgr site. Easiest is via the console, but when you do that you don’t get the documentation included just the MP files. So go the the Administration tab –> Management Packs –> choose the add button from catalog. now I select those MPs I want to download and click OK. I Also downloaded some Active Directory and other MPs for later preference. After you have downloaded them you have to import them to OpsMgr. 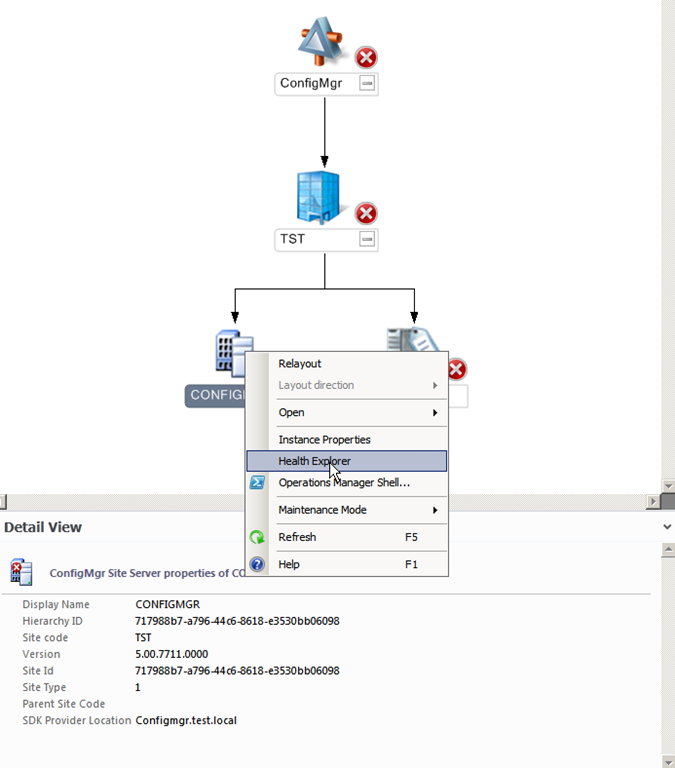 SCCM 2012 consists of 4 files. So I’m going to import them. 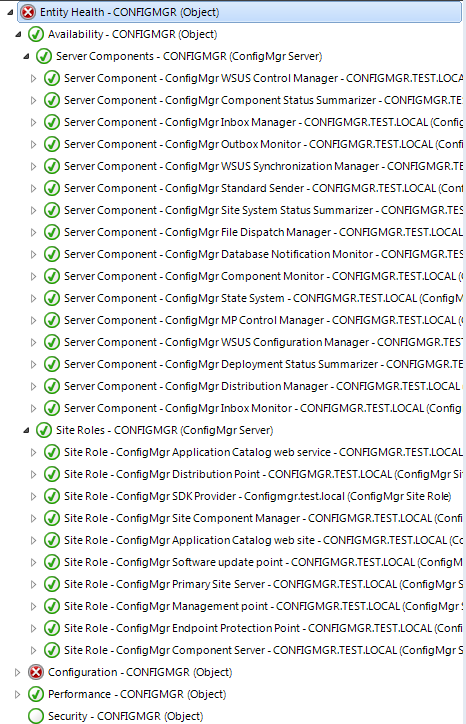 Then it might take some time before your CM components appear in the Opsmgr site. 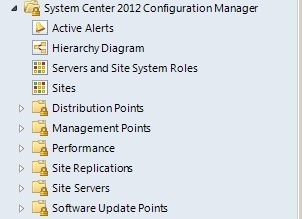 After that is done, you can go back to the monitoring tab and choose under SCM 2012. If you right click on one of the component servers and choose health explorer you can get a more detailed view of the OpsMgr monitors. If we take a look at one of the components that OpsMgr monitors. 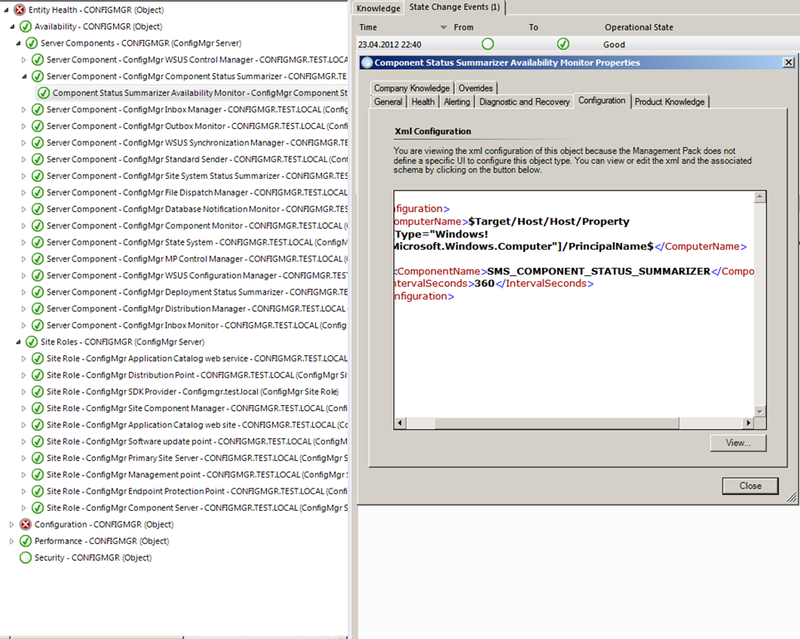 Lets see if it works properly, so head over to the Configmgr server and stop the SMS_SITE_COMPONENT_MANAGER and lets see if OpsMgr reports as it should. And there we go, the OpsMgr alert triggered. 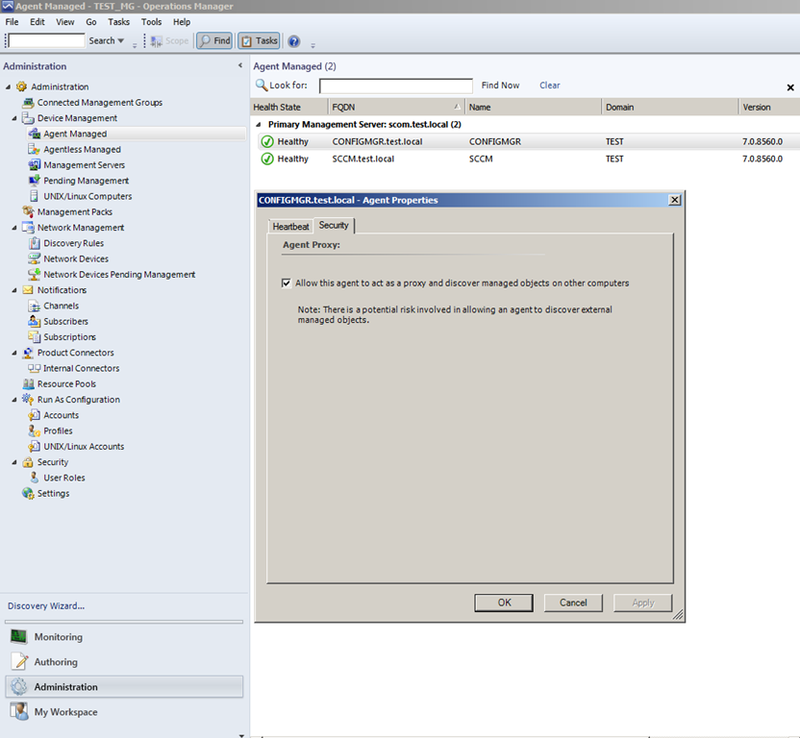 So we go back to the ConfigMgr server and start the service again, the alert should auto resolve. Seems that this is a small point that needs clarification in your article. What do you think?